It is important to understand that the term cerebral palsy is more of a description and not a specific diagnosis.It is a developmental disability in that it influences the way children develops. CP manifests itself very early in childhood development, usually before 18 months of age, with delayed or aberrant motor progress. Cerebral means – brain Palsy means lack of muscle control. 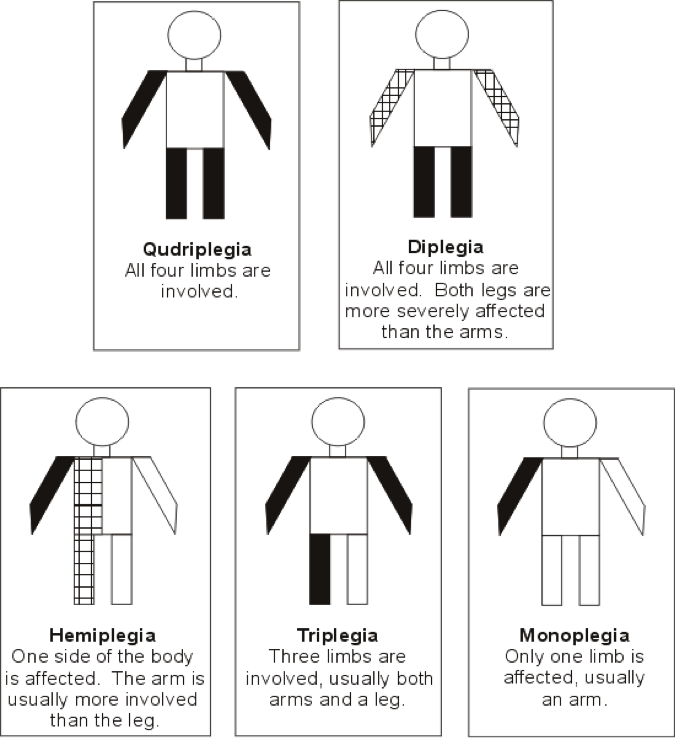 It is a disability that affects movement and body position. It comes from brain damage that happened before the baby was born, at birth, or as a baby. The whole brain is not damaged, only parts of it, mainly parts that control movements. Once damaged, the parts of the brain do not recover, nor do they get worse. Each child with cerebral palsy is different. The symptoms could vary from being mild- a slight awkwardness of movement of hand control to severe -virtually no muscle control, profoundly affecting movement and speech. Muscle tone is what enables us to keep our bodies in a certain position or posture e.g. sit with our backs straight and head up. For example when you extend your leg you must shorten or increase the tone of your thigh muscle while at the same time you are lengthening or reducing the tone of the muscles at the back of your leg. To complete a movement smoothly the tone in all muscle groups involved must be balanced. Dystonia - is sustained muscle contraction causing twisting and repetitive movements or abnormal postures. It can be seen in involuntary movements of the eyes, mouth neck, trunk arms, or legs. ATHETOID - is slow, writhing movement of face and extremities. Chorea – is brief, irregular movements. 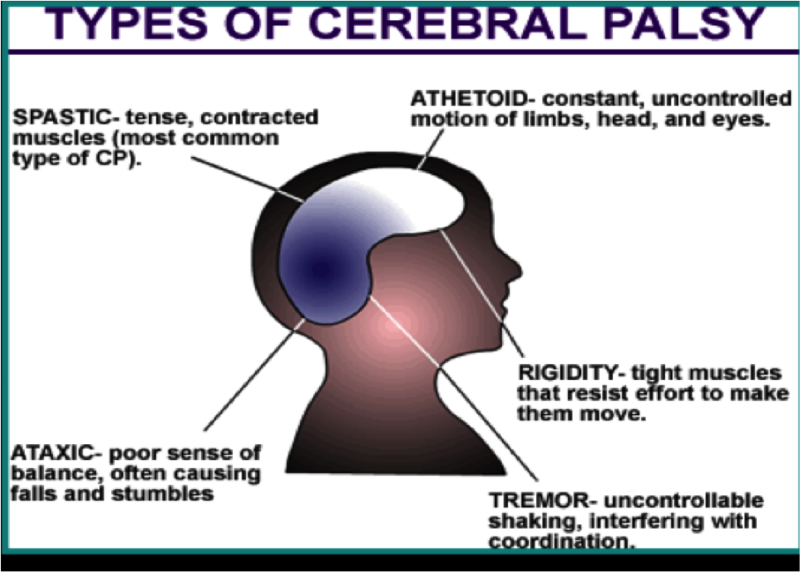 So we can see that there are different classifications of cerebral palsy. Each of these types has different characteristics which will be dealt with in another article. Mutch L, Alberman E, Hagberg B, Kodama K, Perat M V,. "Cerebral Palsy Epidemiology: Where are We Now and Where are We Going?" Developmental Medicine & Child Neurology 34.6 (1992).